Yesterday was Memorial Day so I was excited about going swimming. 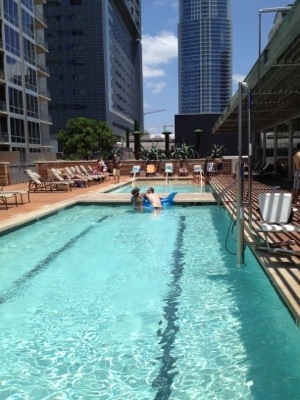 Instead of going to our neighborhood pool, we went over to my super athletic friend’s pool downtown. If you don’t have a friend with a pool downtown, I suggest you get one. The people watching is great because almost everyone is good looking at the pool. It was so much fun. We laid out for a few hours, then went across the street to Lamberts happy hour. They have all their appetizers half off. It’s amazing food. I suggest going there for sure.